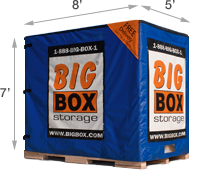 Storage in San Marcos could not be any more convenient than it is with Big Box Storage. The company’s portable storage service allows you to actually have the storage unit delivered straight to your San Marcos address – apartment, house, condo, or business – in zip codes 92069 and 92078. You’re then able to load the unit at your own pace without the cost and energy associated with renting, loading and unloading a truck. The company also offers storage in Vista and storage in Escondido as well as other nearby communities. Once the loading is done, the “Big Box” will be promptly picked up by a company driver and transported into the secure storage facility within the San Marcos area. Feel free to access your storage unit at will at the facility as Big Box Storage is open 7 days a week. Each “Big Box” is capable of holding up to 1.5 rooms of goods, although you may find the online storage space estimator to be helpful in deciding just how many Big Boxes you might need. Support representatives are also always available for any questions and can be reached at 760-453-0710. Big Box Storage often encourages prospective customers to compare its rates with that of other storage competitors. 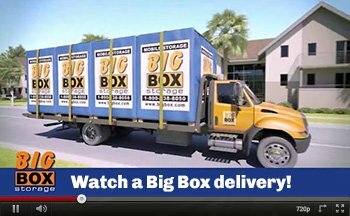 If you should find a lower storage rental rate with any other company in San Marcos (or San Diego County), Big Box Storage will beat any such rate by at least 10%. Current rental rates start at only $64 per month and also include free storage delivery and pickup for customers staying for at least three months. To view applicable pricing, please visit the current rates page by clicking here. It’s also quite easy to schedule a Big Box delivery. You can schedule online in less than two minutes via the online scheduling tool (and receive a $25 instant discount for doing so) or you can also schedule over the phone with a friendly support representative by calling 760-453-0710.